Phil Thompson is a Chicagoan who loves MMA. He’s also an incredible artist. 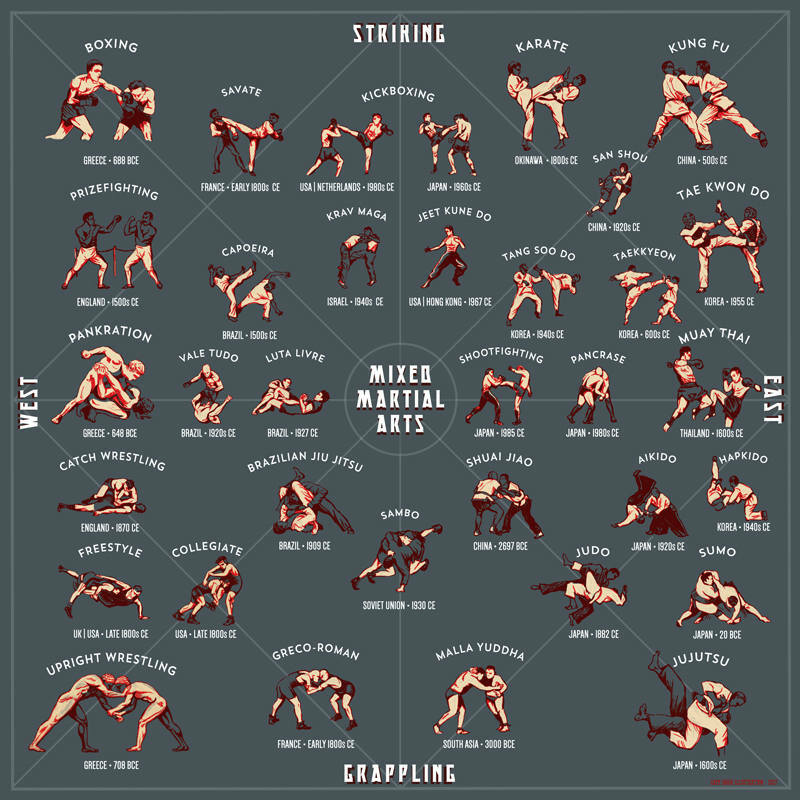 He put together this amazing illustration that details over 30 different martial arts styles, as well as where and when those styles originated. Click the image to enlarge it. Check out more of Phil’s work on his website: Cape Horn Illustration, and you can also follow him on Instagram. Thanks for the knowledge, Phil!